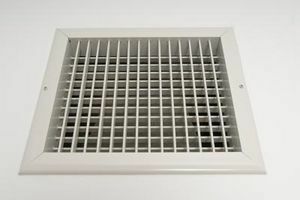 NEW ORLEANS – A Jefferson Parish man is suing an HVAC company and a pair of New Orleans owners for allegedly allowing him to fall into a hole that was created when a grate was removed in the floor. Oscar Pursell III filed suit against Terry Creel, Elizabeth Creel and A/C Central Inc. in the Orleans Parish Civil District Court on Sept. 15. Pursell asserts that on Sept. 17, 2013 he was working as an electrical subcontractor at a home owned by the Creels located at 3207 Chestnut St. in New Orleans. The plaintiff claims that as he was performing his duties he fell through a grate near the bottom of the home’s stairwell that had been removed by A/C Central Inc. Pursell alleges he suffered severe injuries in the incident. The defendant is accused of allowing a dangerous condition to east on the premises, creating an unreasonable risk of harm, failing to warn of a danger, failing to properly hire and train workers, failing to maintain a safe environment, failing to exercise authority to remedy the situation and exposing others to known and unreasonable risks. An unspecified amount in damages is sought for physical pain and suffering, mental anguish, medical expenses, lost wages, property damage, loss of enjoyment of life, disability, harm to earning capacity and disability. Pursell is represented by Charles M. Thomas of New Orleans-based Huber, Slack, Thomas and Marcelle LLP.